Only 3 4WD 4dr 1500 LT models left in stock! 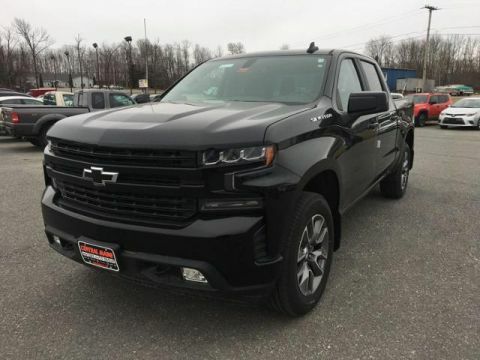 Heated Leather Seats, Premium Sound System, Running Boards, Onboard Communications System, Satellite Radio, TRANSMISSION, 6-SPEED AUTOMATIC, ELEC... Trailer Hitch. PEPPERDUST METALLIC exterior and JET BLACK interior, LT trim. CLICK NOW! 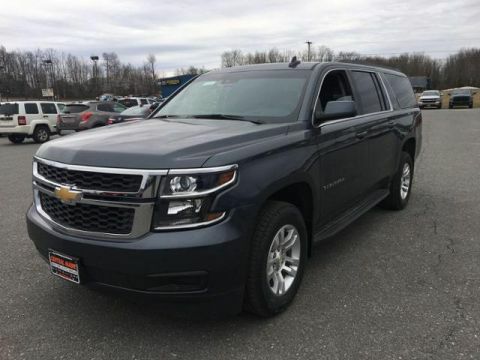 Leather Seats, 4x4, Power Liftgate, Rear Air, Heated Driver Seat, Back-Up Camera, Running Boards, Premium Sound System, Satellite Radio, Onboard Communications System, Trailer Hitch, Aluminum Wheels, Remote Engine Start, Dual Zone A/C, Lane Keeping Assist. Keyless Entry, Remote Trunk Release, Privacy Glass, Steering Wheel Controls, Child Safety Locks. 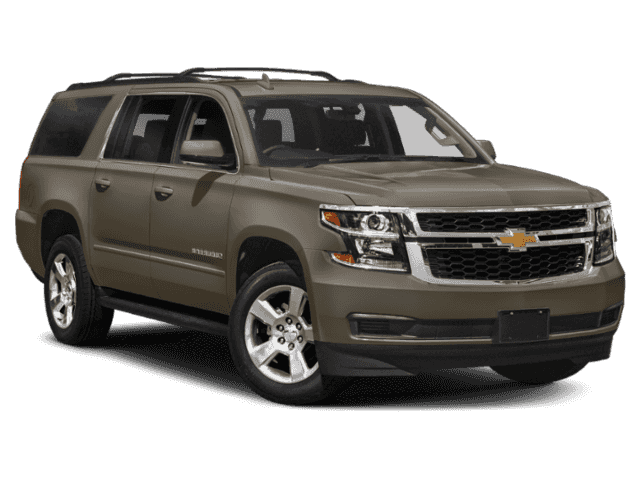 TRANSMISSION, 6-SPEED AUTOMATIC, ELECTRONICALLY CONTROLLED with overdrive and tow/haul mode (STD), ENGINE, 5.3L ECOTEC3 V8 with Active Fuel Management, Direct Injection and Variable Valve Timing, includes aluminum block construction (355 hp [265 kW] @ 5600 rpm, 383 lb-ft of torque [518 N-m] @ 4100 rpm) (STD), AUDIO SYSTEM, 8 DIAGONAL COLOR TOUCH-SCREEN WITH CHEVROLET INFOTAINMENT AM/FM stereo with seek-and-scan and digital clock, includes Bluetooth streaming audio for music and select phones; voice-activated technology for radio and phone; and Shop with the ability to browse, select and install apps to your vehicle. You can customize your content with audio, weather and more; featuring Apple CarPlay and Android Auto capability for compatible phones; 5 USB ports and 1 auxiliary jack (STD). Chevrolet LT with PEPPERDUST METALLIC exterior and JET BLACK interior features a 8 Cylinder Engine with 355 HP at 5600 RPM*. 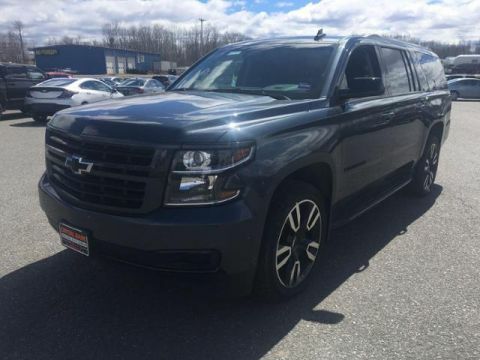 TheCarConnection.com's review says The 2019 Chevrolet Suburban sports a crisp, handsome exterior and a comfortable, car-like interior that help to hide its considerable size..